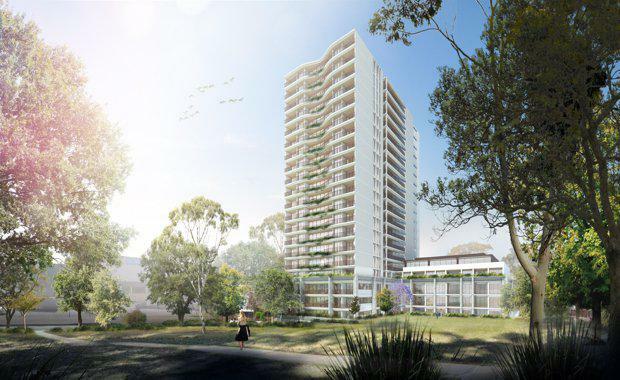 Fifty-five homeowners in Sydney's Macquarie Park have sold four apartment blocks to a private developer for $80 million. The transaction awarded the developer two sites on Cottonwood Crescent, Sydney, which were sold in two stages: the purchaser secured 15-19 Cottonwood Crescent and 21 Cottonwood Crescent, resulting in the strongest sales rate per square metre of gross floor area achieved to date for a collective sale. The sites will be amalgamated into one 5,130 square metre site situated at 15-21 Cottonwood Crescent, with the potential for a new mixed use landmark tower of around 270 apartments plus ground floor commercial suites (STCA) extending up to 65 metres, or around 21 storeys, providing approximately 23,085 square metres of gross floor area. Savills Australia Director of Residential Site Sales Stuart Cox and Neil Cooke conducted a five week international expressions of interest campaign that resulted in over 220 enquiries. “Given the strong demand for the site, we undertook a second round EOI that resulted in a record sale price being achieved for the site. Of the 13 EOI’s received, 12 were from offshore large scale Asian developers drawn to the area by the vast array of amenities on offer within this suburb, namely retail, education and excellent transport,” Cox said. The site benefits from a northerly aspect overlooking Macquarie Centre as well as over Elouera Reserve to the north-western elevation. All future redevelopment in this area will be constructed to the south of the site. Neil Cooke said 91 per cent of the neighbours agreed to combine their properties in a bid to further evolve the master planned community of Macquarie Park. “The new Strata Law reform legislation, particularly in well located areas, gives owners whom join together in a collective sale offering of over 75 per cent, substantial uplift benefit at a time when their existing capital works programs are becoming cost prohibitive," he said. Savills were unable to elaborate further on the exact sale price or terms associated with the sale.